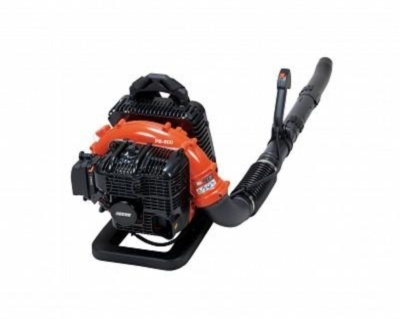 The Echo backpack blowers are well known for their powerful performance and the Echo PB-500 backpack leaf blower is no exception. Equipped with renowned Echo features such as Pro-Fire® electronic ignition, it is capable of clearing huge amounts of leaves and outdoor debris in quick time. A 50.8cc 2-stroke petrol engine, built to Echo’s usual quality standards, produces a massive maximum air volume of 1,014cm³/hour at an air speed of 73 m/second; virtually any debris that isn’t firmly attached to the ground will be lifted and blown to a convenient collection point, without exception! A dry weight of only 10kg keeps user comfort at the top of the agenda and a fuel tank capacity of 1.72 litres will keep you working at maximum capacity with fewer refuelling stops. Can be transformed into a vacuum with the optional vacuum kit. Pro-Fire® Ignition System for fast and easy starting. Powerful performance capable of working to the highest requirements. Comfortable harness system for prolonged periods of use. Stage 2 compliant Stratified Scavenging low emission engine.